(Apparently like a terrine.) 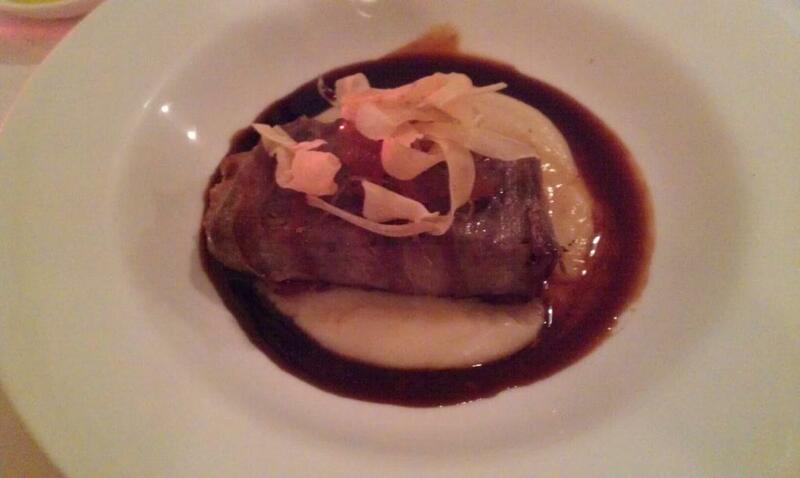 Wrapped in pancetta, served with parsnip puree and apple candy. Nice texture, being a reconstituted piece of meat, but still containing meaty structure. Better than any other “slow cooked” food I’ve had, but not all that exciting. The candied apple chunks evoked the feeling of eating roast lamb with apple sauce. That was interesting. This was full of weird ingredients, but they certainly added interest to an already-good panna cotta. 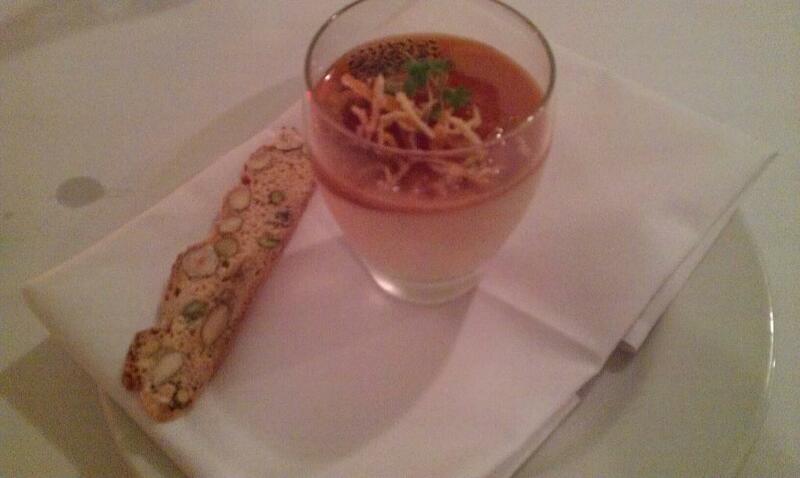 The panna cotta itself had a layer of orange jelly on top. Above that were basil seeds in some kind of jelly. It looked like a fish had spawned in my dessert. Given the weirdness of the dessert, I didn’t immediately rule out that possibility. Also there was “dulce de leche” – straws of carrot fried in milk, some tiny green sprouts that didn’t exude any noticeable taste, and some tart preserved orange pieces, that went perfectly with the vanilla-ey panna cotta.